Out here in central Virginia, where I currently live, there is a wonderful gem of a museum called the Frontier Culture Museum. I visited earlier this week with a group of students and was fascinated and inspired by the living-history displays and the depth and breadth of the presentations. Throughout the pastoral grounds of this delightful little spot, interpretive displays and period actors make the culture of the American Frontier come viscerally to life. This region, known interestingly enough as the ‘backcountry’ to most 17th century settlers, is and always has been a place of dreams. The story of the early European settlers in this remote Appalachian landscape is one of perseverance, devotion, hard work, and hope. Nowhere in the Frontier Culture Museum is the phrase ‘frontier spirit’ used but the feeling is palpable and the evocation real. And it is this inimitable spirit, so much a part of our collective national identity, which brings to mind the connection between the frontier ideal and life of the long-distance runner. One of the things that I believe has long bound the ultrarunning community together is a set of shared values. Values often seen in other parts of society but nowhere quite as enthusiastically embraced than in the tribe of runners with whom we choose to spend our time. In my experience, few groups of people I’ve met over the years have quite the level of perseverance and grit as ultrarunners. We tend to be a stubborn lot, often willing ourselves to do things that many would just succumb to. Like those early settlers to the Shenandoah Valley, we push forward with a dogged determination that is at once exhausting and exhilarating. And more often than not we come out the other side with a greater sense of freedom and confidence than we had before. Out on the frontier all those centuries ago, the community was essential for survival. In the midst of an unknown fate and an unclear future, our backcountry forebears had no choice but to cling to hope. To live life with a sense of optimism and the belief that promise was there over the next ridge or in the next valley. How many of us have felt that very same way in the midst of a long, grueling run? How many of us, in the throes of a painful slog across a windswept ridge, have clung to some devotion that on the other side things would be better? I know I have. And it’s made me a better runner and a better person in the process. In 21st century American society, the frontier spirit persists. However, without clear goals and often through divisive means, that spirit can be less unifying than in years past. But for those of us who run long distances, those of us who carry that frontier spirit out with us each time we run, the lessons of those early European settlers can be made plain and that spirit can be a great unifier. Whether you’re an elite runner seeking triumph or a back-of-the-packer seeking completion, ultrarunning has something for you. Something that other life pursuits simply do not have. Something that kindles in us that quintessential human drive for something over that next ridge, however difficult it may be to get there. And that, in the end, makes it all worthwhile. 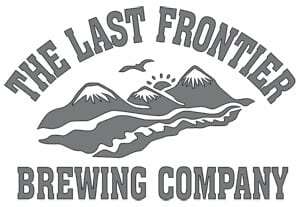 This week’s Beer of the Week comes from Last Frontier Brewing Company in Wasilla, Alaska. 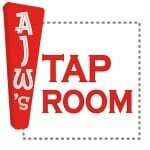 This little outpost brewery makes delicious small batches of beer and I was fortunate enough to share a growler with an Alaskan friend last week. Last Frontier’s Grubstake Stout is a delicious, malty, British-style stout which will put hair on the chest of just about anyone. Not high in alcohol or bitterness, it’s a stout that could be eaten with a spoon. If you find yourself in Wasilla, be sure to stop in to the Last Frontier. Do you think the spirit of trail and ultrarunning resembles American Frontier ‘spirit,’ or the energy and effort it would have taken to live at the edge of civilization centuries ago? Does ultrarunning allow you to express a form of individualism and coarseness that you don’t necessarily get to express in the rest of your life? The negative side of the similarity between America’s settler past and ultrarunning’s present is the dominance of white men, and the growing negative effect of the sport on the country’s natural heritage. Frederick Jackson Turner himself argued that violence was a equal counterpart to rugged individualism in the frontier culture of America. Should we try to be like the European settlers who sought wealth and property in the Shenandoah, or like the indigenous tribes who used the Shenandoah as a long-distance migration route (for example, Route 11 and I-81 through the valley follow the path of a historic thru-way long used by the native peoples of eastern North America)? Thanks, Jackson — my thoughts exactly. Great piece by Haile. The Rahawa Haile Outside piece feels like a breath of fresh air compared to the many worn out narratives of endurance sports/activities. A great, thought-provoking article. Thanks for posting it Jackson. Not sure what you mean by this, can you elaborate? White men weren’t the only group that went around conquering and slaughtering people, people of all colors did that. The history of Africa and Asia is rife with the same, including slavery. Arabs enslaved far more people than ever existed in the American slave trade, but we’ll probably never hear about Arab privilege or the dominance of Arabs. Africans enslaved the Africans destined for the Americas. Native American tribes slaughtered each other. What about Central America – the Aztecs? The history of humanity is peppered with atrocities because different self-interested groups struggled over resources. The cultures that are alive today are those that found a way to exert their power. It is, sadly, the story of anything that is still alive. Life, unbridled by unliving systems that lay down laws and ethics, is inherently violent and destructive. The government of the United States sanctioned the frontier expansion – they controlled the flow of people, they handed out the homesteads, they managed military raids on native settlements. Like Jim Crow, it was the government that instituted dominance. I would really question whether a poor white frontier farmer is somehow deserving of the animosity you hold. They really were dirt poor people, often with few options except a carrot dangled before them. The government happily held a carrot because they saw the economic benefit and the expansion of America. I wonder how this applies to your generalization about white men? What, exactly, do you mean, when you say “white”? Especially “white dominance”? Are the Irish, for example, as guilty of what you level, as the English? Are poor white settlers as culpable as the government officials that created and set in motion these policies? Wow! I guess we can tell Holocaust survivors the Nazis were just being natural and exerting their power. You can just go tell the Sioux they got pwned. I didn’t know there were Hobbesian ultrarunners, but whatever floats your boat man. Rest assured your views on humanity are just your opinion and say more about your character than they do about history. I didn’t condone it, did I? No. I merely made the point that humanity is violent. You are making an essentialist/Darwinian argument about history to ameliorate white guilt about genocide and colonialism. Where is it, in what I have written, that I defend Native American genocide through a Darwinian argument? Maybe you should address what is written instead of what you can fit into a pre-defined box. I cited your post above using cut + paste. Cool. So read again what you cited and tell me where I condone genocide. Have there ever been cultures wiped out (or nearly wiped out)? Yes? How was that accomplished? Through a nice exchange of words? So in relation to other biological phenomena, like plants and animals, can the same thing happen? Is that how competition for resources by separate groups works? Plants crowding out other plants, animals eating plants, animals eating animals, parasites killing animals. Humans over the past several thousand years have created social systems that attempt to restrain this cycle. In some cases it works – you don’t have to fight anyone in a physical sense to get food. However, the system is not yet perfect – the Holocaust, as you describe, happened, so clearly we are not out of the hole. Okay Trevor, where in this quote do I condone the Native American genocide? ‘If I had known my end, I would not have begun.’ One of the great things about irunfar’s call for comments is that articles are the starting points of conversations, but unfortunately my contribution also accelerated the fulfillment of Godwin’s law. I love what AJW gives back to the ultrarunning community; here he pushed me to think about what it means to be a striver in the American wilderness. By writing so much and putting so much of his life and thoughts out there for public consumption, he makes it easy for us to imagine him complexly. Mad respect. Live long and prosper, AJW. It’s also good to remember that the very qualities that Turner cites and that you recap here (” perseverance, devotion, hard work, and hope”) were hallmarks of slave life. And to remember that for all we laud individualism, the frontier depended on community, as survival in tough conditions so often does. I just finished reading “Undaunted Courage” by Stephen Ambrose. It’s the story of Lewis and Clark and I couldn’t put it down. The suffering that they went thru on their journey makes ultra running look like a walk around the block. They did a 2 year ultra! I sometimes wonder if I am satisfying some deep subconscious reflex for travel across the land by foot with trail running that these early settlers also had. Great insight, as always AJW!! The sentiments in the article are well-intentioned I’m sure, but I’m gonna agree with Jackson– the history of the “frontier’ is too overloaded with Manifest Destiny and imperialism to do a runner any good these days, without succumbing to reactionary fantasies. I do not think that you overinterprete this!! I am from Austria and want to run an Ultra in the US any time in the future; thats my dream, there is lots of Spirit that is inspiring, but at the other hand the history of america (north and south; also australia, and other countries of the world where indigenous people where eredicated) has a very dark side; especially made by us europeans..and our hunger to own wild and lots of land…i think we are all in the same boat..
sorry for my english and greetings to you AJW; your running has always inspired me a lot!